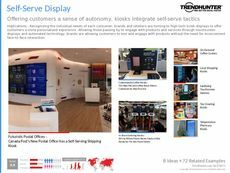 Find Better Ideas, Faster ® with a custom self-serve trend report, our PRO Dashboard and 80+ categories of premium trend reports. 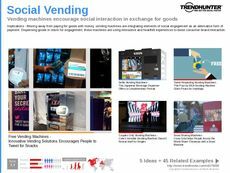 The Self-Serve Trend Report will educate readers about the latest trends in vending machines, interactive retail displays, pop-up restaurants and food trucks. 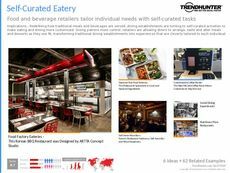 Brands capitalize on the broader DIY culture that has emerged, and have began utilizing self-serve options to create more interactive and experiential modes of accessing food, desserts, drinks and products. 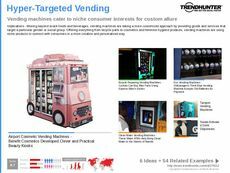 The rise of self-serve options merges growing consumer demands for instant gratification and immediacy, with customization and personalization. This report is catered towards entrepreneurs, professionals in the food industry and restaurant or QSR executives. Also, marketers, advertisers and brand managers can benefit from our data-driven research. Through this report, readers will gain insight into a new-found focus on self-serving capabilities in the food, beverage and retail industries. 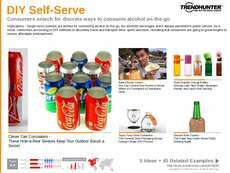 The Self-Serve Trend Report documents shifting consumer behaviors and expectations in the retail landscape. Harness Trend Hunter's crowdsourced data to inspire and encourage innovation within your team.